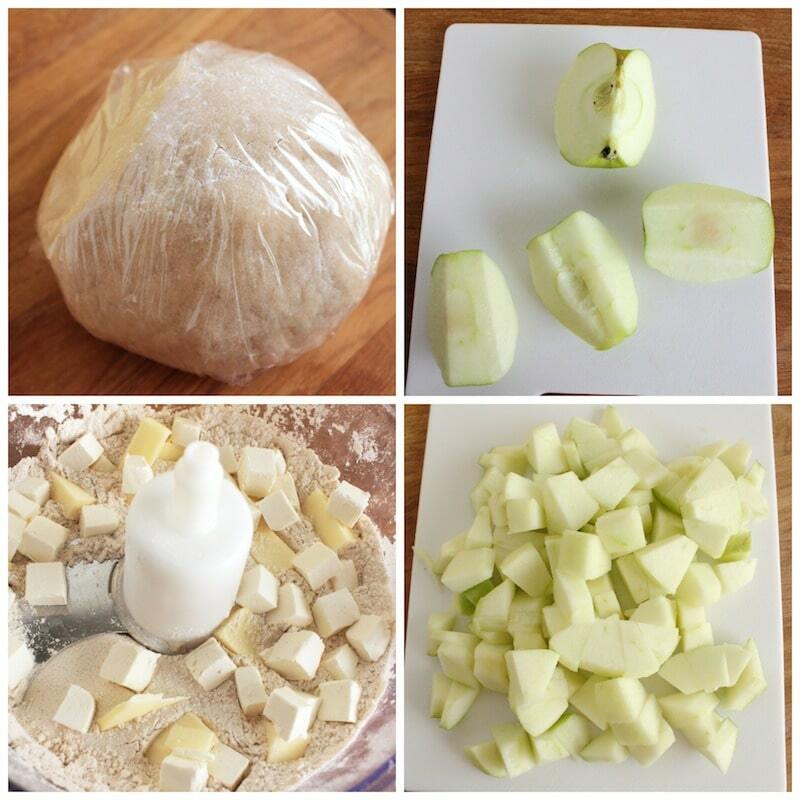 This mini apple pie recipe is absolutely delicious. 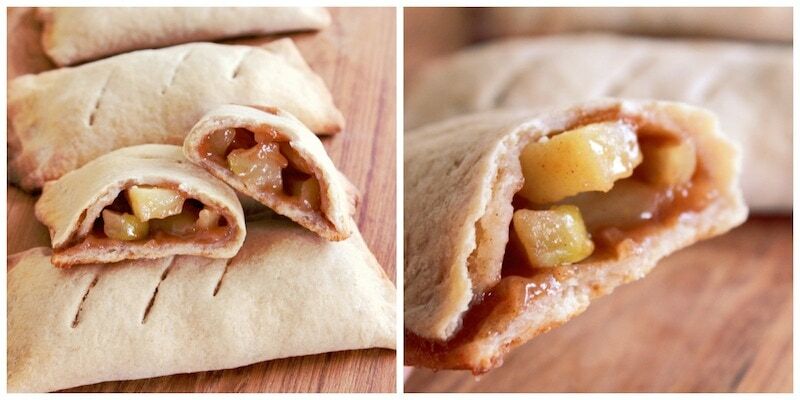 I just love the way they resemble hot pockets, but are sweet and homemade, instead! Do I have any apple pie fans out there? I think you guys are going to really enjoy this one. Seriously – those mini apple pies you find at the market aren’t going to hold up against this recipe – especially once you see how simple it is to put it all together. Perfect for the Fall or the Summer… or anywhere in between. I am SUCH a fruit dessert lover. This is totally right up my alley. Put the Flour, Sugar Cinnamon and Salt in to a food processor and pulse to combine. Add the Butter and Cream Cheese and Pulse until the cubes are incorporated. Turn the processor on low speed and add the Milk 1 Tbsp. at a time until a loose crumbly dough forms. Put the dough on a well-floured surface and form into a round. Wrap with plastic wrap and refrigerate at least 30 min. In a medium sauce pan over medium heat melt the butter with the sugar. Once the butter is melted add the Cinnamon, Apples and 2 Tbsp. of water. Cover and let the Apples cook 8 minutes stirring occasionally. Mix the Corn Starch and 1 Tbsp. of water together and add to the apples. Stir constantly until the sauce is thickened. Remove from heat and let cool slightly. Remove the Dough from the refrigerator and put on a floured surface. Using a floured rolling pin roll dough out into a square shape approximately 1/8 inch thick. Cut 5×5 inch squares out of the dough. You should get at least six 5 inch squares. Re-roll the scraps if you have to. Place about 2 Tbsp. of apple filling on a square slightly off center leaving room at the top, bottom and side to seal the pie. 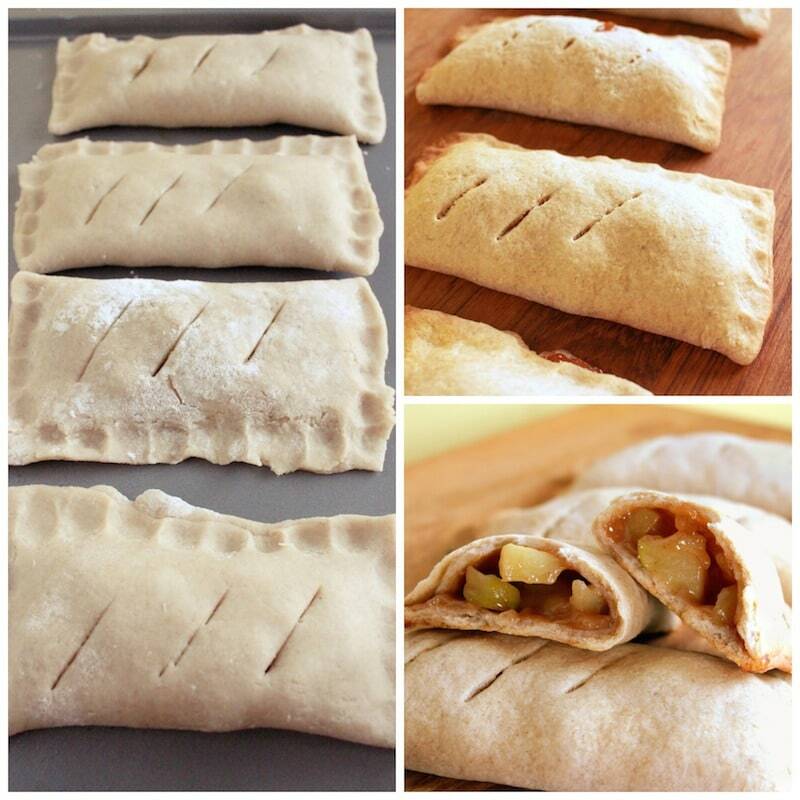 Fold the dough over to form a 2 ½ x 5 inch pocket. Pinch to seal the 3 edges using either your fingers or a fork. Place on a Cookie sheet. Cut 3 diagonal slits on the top for venting or your pies will burst at the seams. Bake at 375˚ until golden brown, 20-25 minutes. ** Optional before baking brush the pies with egg wash (1 egg beaten with 1 teas. water) to give the pie a glossier browned look. To see what Audrey cooked up today, click here. YUM! Put the Flour, Sugar Cinnamon and Salt into a food processor and pulse to combine. In a medium saucepan over medium heat melt the butter with the sugar. 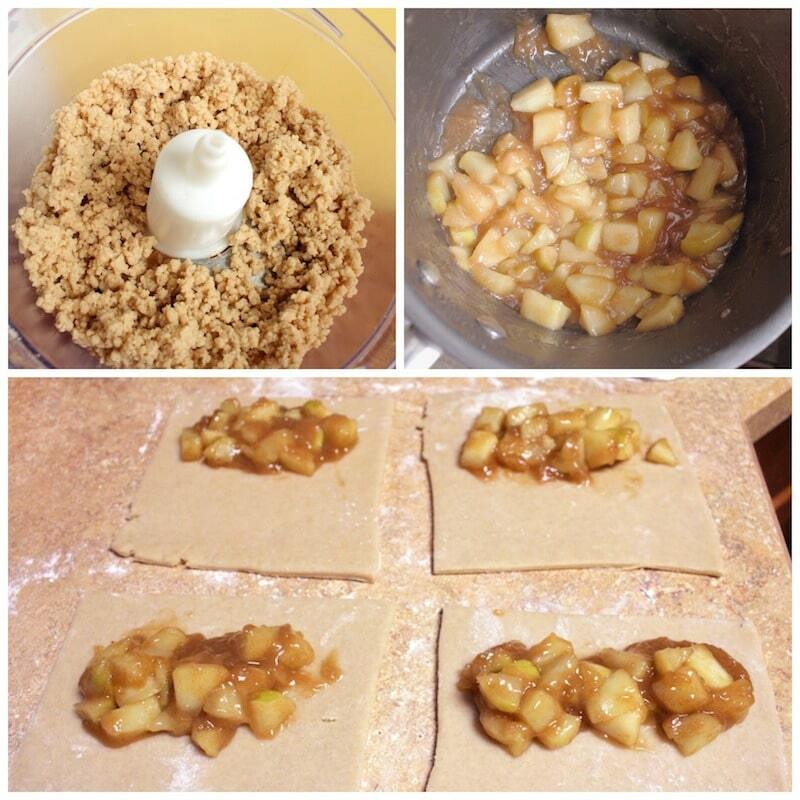 Once the butter is melted add the Cinnamon, Apples and 2 Tbsp. of water. Cover and let the Apples cook 8 minutes stirring occasionally. Remove the Dough from the refrigerator and put on a floured surface. Using a floured rolling pin roll dough out into a square shape approximately 1/8 inch thick. Cut 5x5 inch squares out of the dough. You should get at least six 5 inch squares. Re-roll the scraps if you have to.